Saturday, March 28, the Palms, 8:00 p.m. Headlining the FIELD HOLLARS. 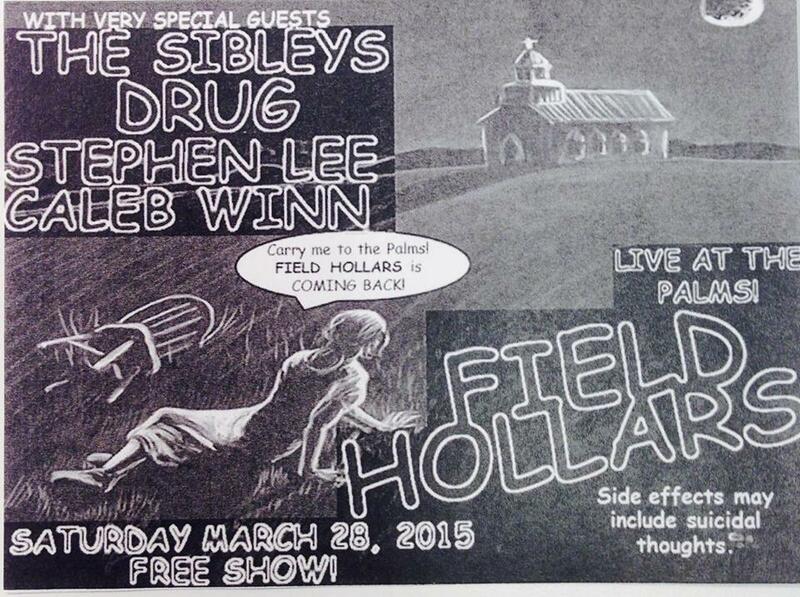 Special guests: the SIBLEYS, DRUG, STEPHEN LEE and CALEB WINN. Free show. Live.